Roger Dudley , Des Cummings. Jr.
Roger L. Dudley, Ed.D., is the associate director of Church Ministry, Andrews University. Des Cummings, Jr. is the director of the Institute of Church Ministry, Andrews University. The relationship of Ellen White to the Adventist Church has been receiving a lot of attention lately, much of it having to do with theological questions such as the nature of inspiration, the use of sources by a prophet, and the authority and inerrancy of prophetic writings. This article takes a different tack. It reports on an interesting and important finding indicated by a recent study on church growth in North America. The finding? Those who regularly study the writings of Ellen White are also much more likely to be stronger Christians in their personal spiritual life and in their witness to their communities than those church members who don't. 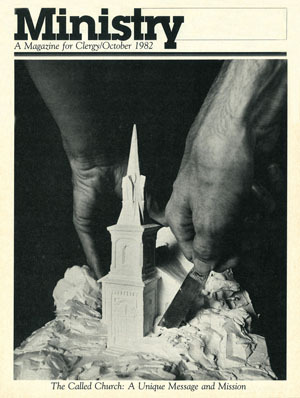 In 1980 the Institute of Church Ministry at Andrews University (ICM) conducted a study of church growth in North America. 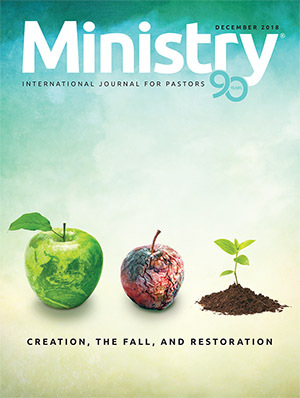 As part of this research, ICM surveyed more than 8,200 Seventh-day Adventists attending 193 different churches through out the North American Division. One of the survey questions dealt with the degree of involvement in regular study of Ellen White's books. Recently a secondary analysis was conducted on this question. All those who answered "doesn't apply," "never," or "sometimes" were combined into one group, hereafter referred to as "nonreaders." Those choosing "usually" or "always" were combined into a second group, referred to as "readers." There were 2,848 readers and 5,375 nonreaders. This article compares profiles of readers and nonreaders in relation to how each group responded to the other items on the survey. It is important to note that the survey was administered in the 193 churches during the Sabbath worship services. 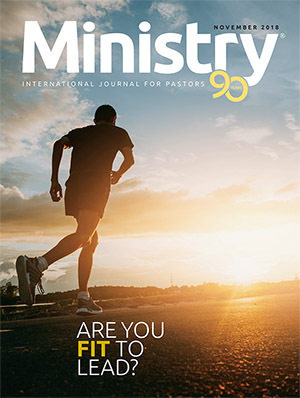 Therefore it reflects the attitudes and behaviors of church-attending Adventists and does not attempt to describe those who have become inactive. It is a portrait of those members who compose the core of the local congregation. Relationship with Jesus Christ. Here is a striking difference, for 85 percent of the readers chose one of the two strongest possible responses to indicate that their relationship with Jesus Christ was intimate. Only 59 percent of the nonreaders did so, a difference of 26 percent. 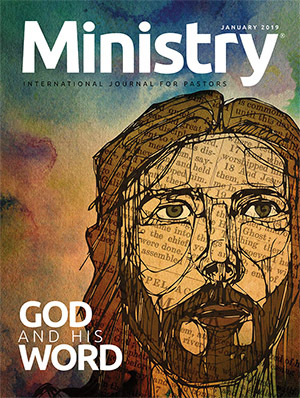 Certainly readers see their relationship with Christ as closer and more intimate than do nonreaders. Assurance with God. There is almost the same difference on having assurance of being right with God. It was revealed that 82 percent of the readers, compared with 59 percent of the nonreaders, are very certain of their standing a spread of 23 percentage points. Readers apparently do have more assurance of salvation. Certainty of spiritual gifts. 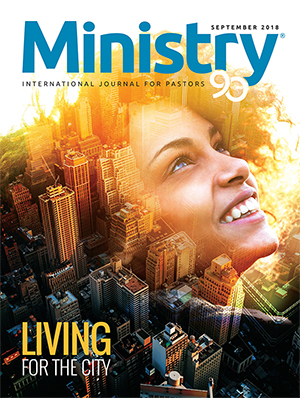 Here 65 percent (combining the two top choices) of the readers are quite certain about having discovered their spiritual gifts, compared with 49 percent of the nonreaders—a difference of 16 percent. 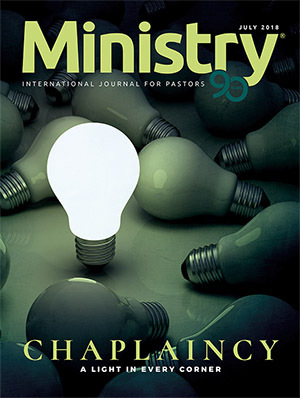 Readers, more so than nonreaders, see themselves as prepared to be led into the unique service for which the Spirit has equipped them. Money for public evangelism. A small difference is seen in this area. Seventy-two percent of the readers favor more spending for evangelism, versus 62 percent of the nonreaders who do so. This 10 percent difference indicates a moderate tendency for readers of Ellen White's writings to be more supportive of investing funds in direct soul winning. Prepared for witnessing. There is a highly significant difference between the two groups in how well prepared for witnessing they see themselves. Using the two top responses, 49 percent of the readers feel well prepared. Only 24 percent of the nonreaders do—a 25 percent difference. Readers definitely feel better prepared to witness than do nonreaders. Christian activities. The survey contained a series of seven yes or no questions. On every one of these items, Ellen White readers hold a distinct advantage over nonreaders. 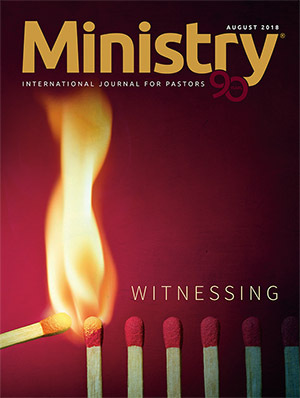 To be specific, 24 percent more had been engaged in some type of witnessing program over the previous year, 13 percent more were holding a church office or other service position, 15 percent more had set a personal soul-winning goal for the current year, 19 percent more had been working to win non-Adventist relatives, 15 percent more had been involved in community outreach services, 19 per cent more had held Bible studies with a non-Adventist during the past year, and 14 percent more had recently attended a witnessing training program. Ellen White readers seem definitely more likely to be active in service and in witnessing than nonreaders. Rating the local church. Several of the questions asked for perceptions of the local church and did not deal directly with the attitudes or behaviors of the respondents. Therefore major differences between readers and nonreaders were not to be expected. However, the small differences that do exist (mostly 6 or 7 percentage points) all show the readers as giving a more positive appraisal. For example, 11 percent more readers than strongly as "my kind of people." Readers are not negative people. They tend to view their churches in more positive terras than do nonreaders. Personal Bible study. Several questions dealt with areas of everyday Christian living, and it is in these areas that some of the strongest differences between readers and nonreaders are found. For example, 82 percent of the readers usually or always have daily personal Bible study, while only 47 percent of the nonreaders do. This is a 35 percent difference the strongest of any item in the study. Readers are much more likely to be Bible students than are nonreaders. Prayer for souls. Here is another strong difference. It was discovered that 81 percent of the readers usually or always pray daily for the conversion of specific people, compared with 51 percent of the nonreaders a difference of 30 percent. Readers are more likely to bear the burden for souls on their heart and seek the Lord daily for their salvation. Financial support for local soul winning. 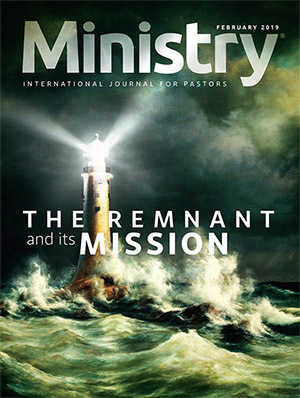 The contrast continues, as 30 percent more (76 percent versus 46 per cent) readers than nonreaders are usually or always involved in regular financial support for local soul winning. Readers tend to give more often and more generously to programs designed to reach the lost within their own communities. Small study groups. 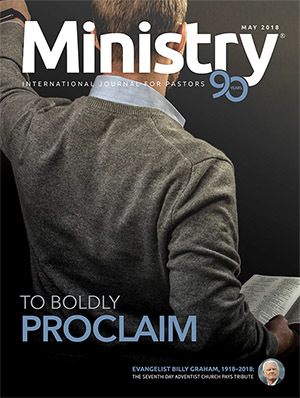 The small study and fellowship group has been advocated in the Spirit of Prophecy writings and empirically demonstrated to aid in both the spiritual nurture of members and the soul-winning efforts of the congregation. The profile shows that 40 percent of the readers as compared with 20 percent of the nonreaders are heavily involved in such small group work. Readers are more likely to participate regularly in small groups where they study the Word, pray together, and share their Christian experience than are nonreaders. Concern for the lost. On this question 90 percent of the readers indicated heavy concern for those who have not accepted Christ, compared with 76 percent of the nonreaders. This difference of 14 percent indicates that regular readers of Ellen White's writings are more likely to have compassion for the lost. Daily family worship. Daily family worship is an important part of the life of a Christian family. It is usually or always held by 70 percent of the readers, but by only 42 percent of the nonreaders a difference of 28 percent. There is more likely to be daily worship in homes where Ellen White's books are read regularly. Witnessing in everyday activities. It was found that 76 percent of the readers and 48 percent of the nonreaders are usually or always involved in witnessing in their everyday activities a difference of 28 percent. Readers are more likely to share their faith on an informal basis, as well as in organized witnessing activities, than nonreaders. Converts won. Here the survey shifted from subjective judgments to objective results. "How many people have you been wholly or partially responsible for bringing into the church in the last three years?" 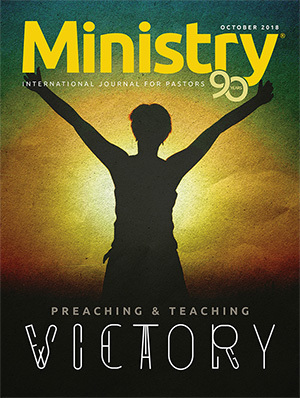 54 percent of the readers were unaware of any, but 67 percent of the nonreaders were nonproductive in soul winning, an increase of 13 percent. While 15 percent of both groups could claim one convert, 22 percent of the readers could identify two to five people won, 3 percent of them could count six to ten, and 6 percent could rejoice in more than ten. The corresponding figures for nonreaders were 15 percent, 2 percent, and 2 percent. Readers actually win more souls than do nonreaders. Age. A look at the age groups presents a challenge to the church. Only 5 percent of the readers are 19 years of age or under, compared with 17 percent of the nonreaders. Only 30 percent of the readers are under 36 years old, compared with 49 percent of nonreaders. The situation is equal in the 36-50 age group, but 46 percent of the readers are older than 50, compared with 29 percent of the nonreaders. The challenge then is to find ways of involving more younger members (35 and under) in reading Ellen White's books. Length of time as an Adventist. A situation similar to that of the age factor was found on this variable. Those who have been in the church longer are more likely to be readers of Ellen White's writings. 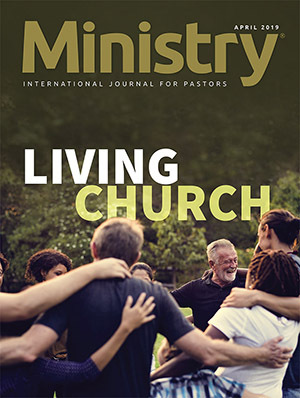 While 68 percent of the readers have been members more than ten years, only 53 percent of the nonreaders have been a part of the church for that long. On the other end of the scale, 22 percent of the readers have been members for fewer than five years, while 33 percent of the nonreaders are in this category. This suggests that the church may be having difficulty introducing new converts to a regular study of Spirit of Prophecy writings. Or it may suggest that the apostasy rate is greater among nonreaders, leaving fewer of them around after ten years. Conclusions. Seldom does a research study find the evidence so heavily weighted toward one conclusion. In the church growth survey, on every single item that deals with personal attitudes or practices, the member who regularly studies Ellen White's books tends to rank higher than does the member who reads them only occasionally or never. On a few items the difference is small only 3 or 4 percentage points. But on most items the spread is large in the tens, twenties, or thirties. And these differences are found not only in the total profile but in each of the ethnic components. White, black, and Hispanic readers, as groups, are each superior to nonreaders. On no item do nonreaders rank higher than readers. The study indicates that readers have a closer relationship with Christ, more certainty of their standing with God, and are more likely to have identified their spiritual gifts. They are more in favor of spending for public evangelism and con tribute more heavily to local missionary projects. They feel more prepared for witnessing and actually engage in more witnessing and outreach programs. They are more likely to study the Bible daily, to pray for specific people, to meet in fellowship groups, and to have daily family worship. They view their church more positively. They actually bring more people into the church. Of course, it should be carefully noted that this study does not determine that the reading of Ellen White's books actually causes people to have all of these spiritual benefits. The study only shows that there is a direct correlation between the various items and the study of Ellen White's works. But it is amazing that the contrasts between these two profiles are so numerous and so great. Certainly the implication is that the regular reading of Ellen White's material does make a positive difference in Christian life and witness. It should also be noted that these statistics compare Ellen White's readers and nonreaders as groups. Individuals within these groups may vary widely in their Christian attitudes and practices. But on the average a striking difference exists. 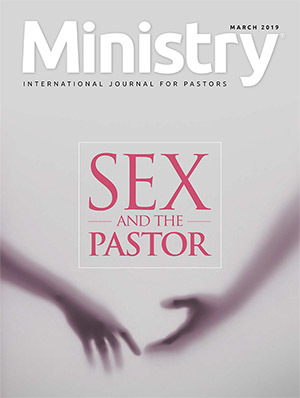 These findings should lead pastors and church leaders to encourage and promote regular study of the writings of Ellen White. 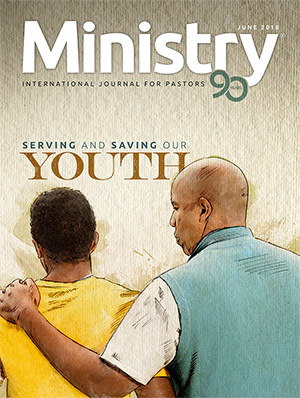 The church is especially challenged to seek ways to involve younger members and newer converts in this study. For it is these groups that hold the future of the church, and it is precisely these groups that are the least involved at the current time in the regular study of these writings.